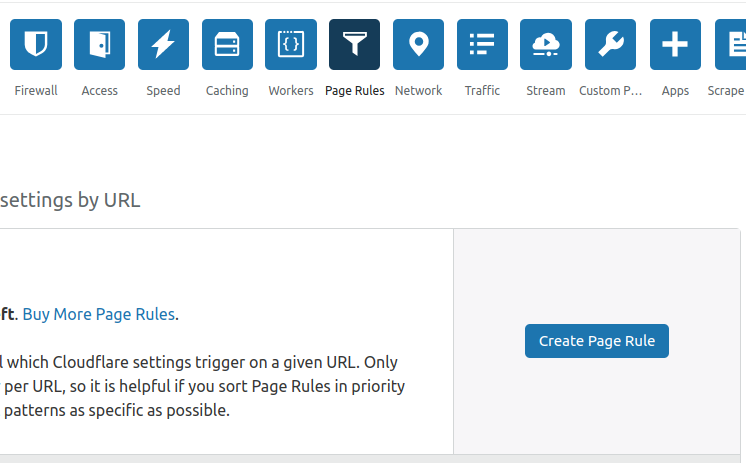 Usually shared hosting panels have simple parking, forwarding tools. But when it is about cloud/dedicated servers – most things should be done manually or throught DNS manager. But it is not good way just because needs creating some unneeded codes, instances. 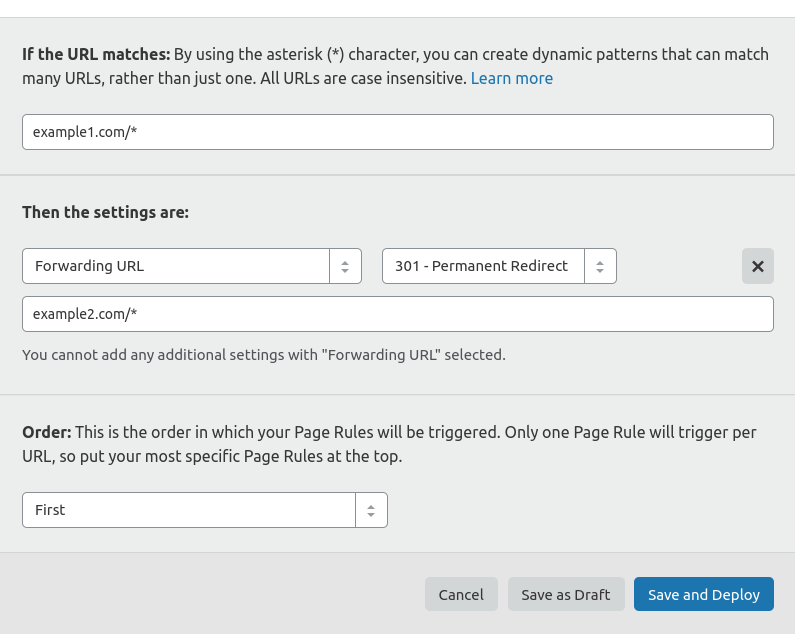 Cloudflare rules allow you to create beautiful smart rules for your web traffix. One of them is forwarder. Click to Add a Setting link, and choose Forwarding URL option. Click to Save And Deploy button. That’s all. Now you have got simple rule for forwarding – without doing any coding.